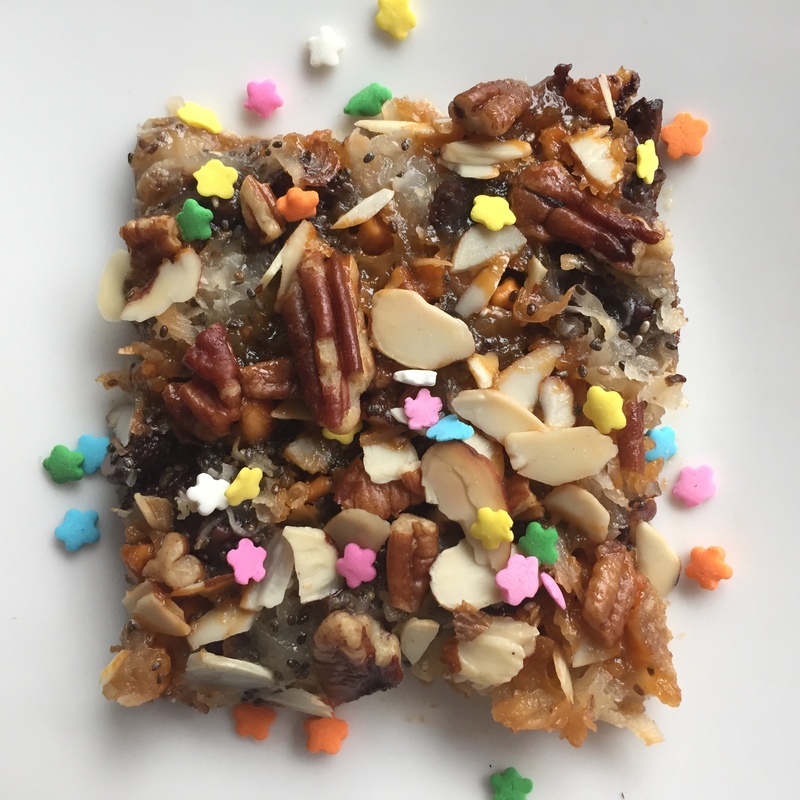 An amped up version of the classic magic cookie bar (the recipe often found on sweetened condensed milk cans), Disney’s Magic Cookie Bars are legendary among Disney World devotees and newcomers alike. Delicious? YES. Healthy? Well… not so much. 3. Combine and sprinkle graham cracker, flaxseed, oat crumb mixture in the bottom of the pan; combine with melted vegan butter and gently pat into the pan to form a crust. 4. Cover crust with chocolate chips, butterscotch chips, and coconut. 5. Drizzle entire contents of sweetened condensed coconut milk over the crust, covering completely. 6. 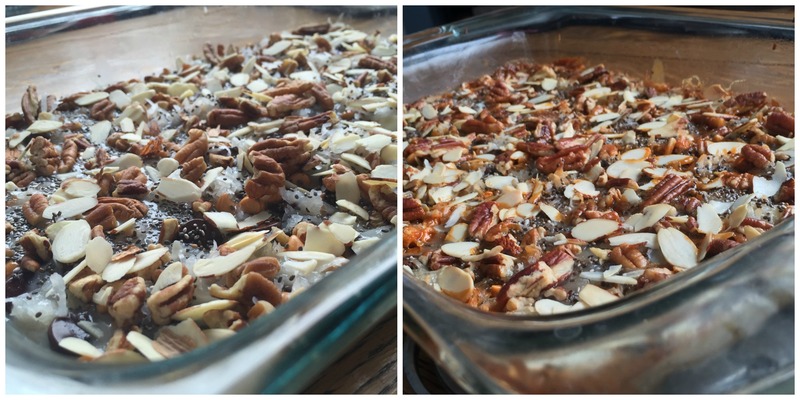 Sprinkle nuts evenly over the other ingredients. 7. Bake for 25-30 minutes, or until golden brown. Cool completely; cut into 12-24 squares (depending how big of a piece you want). Just a heads up: I noticed the crust isn’t as solid as the original recipe; it has a bit of a wet sandy texture… I think this is due to the flaxseed not being as absorbent as graham cracker, so I would maybe try decreasing the amount of butter in the recipe for a firmer crust. Or you can test your patience/willpower by allowing it to completely cool and set overnight. Either way, it’s really delicious, albeit a bit messy to eat. Want to see more delicious food photos like those seen in this recipe? Follow The Encyclofeedia’s and/or my personal Instagram account for tasty snacks and other treats that will make you salivate.